Today during EA's E3 2017 briefing, developer DICE announced more details about Star Wars: Battlefront II's "live service" model. Today during EA's E3 2017 briefing, developer DICE announced more details about Star Wars: Battlefront II's "live service" model. As suspected, there will not be a season pass, but instead, DICE will offer seasons of themed content, which the studio won't charge for. The first of the batches of content will be themed around the upcoming movie Star Wars: The Last Jedi. It will include the characters Finn and Captain Phasma, and it launches in December. The planet Crait, seen in the movie's teaser trailer, will be included in the content release. Battlefront II's free DLC will include maps, characters, vehicles, modes, weapons, star cards, "and more." Additionally, Battlefront II will host "live events and challenges," each with their own rewards. 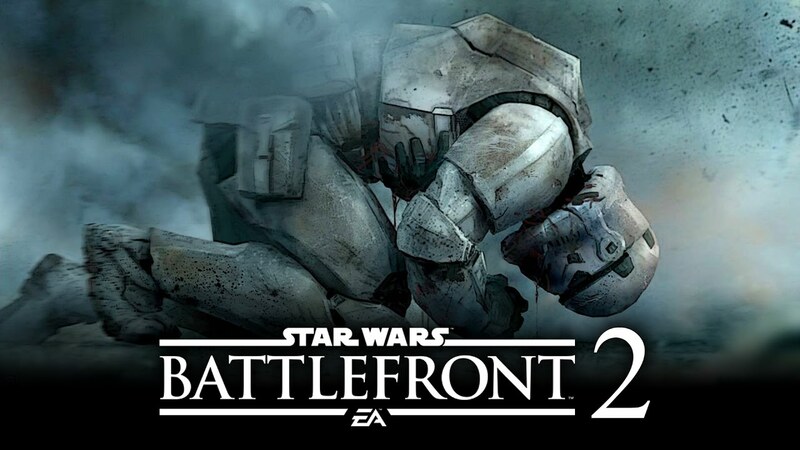 "With Star Wars Battlefront II, we've really taken feedback from our players to heart, and you see that in the base game, which has so much more content than the first game--a new authentic single-player campaign, epic multiplayer, starfighter battles, and solo or co-op PvE on console – a huge game across all eras of the Star Wars films," Battlefront II executive producer Matt Webster said in a statement. "But just as important is how we support the game after launch. Our live service is built around the philosophy of keeping our fans playing together, with seasons that will add meaningful content and in game events on a regular basis." Also during the briefing, DICE released an impressive new multiplayer trailer that showed an epic battle on Theed, the capital city of Naboo. We also saw a frustratingly brief clip of Battlefront II's new single-player campaign, which follows a soldier fighting for the Empire. EA only discussed Battlefront II during its E3 2017 briefing today. There were no updates on the new Star Wars games in development at Dead Space studio Visceral or Titanfall developer Respawn.